New research into prostate cancer has revealed that surgery has little or no benefit in extending the lives of patients. The study, which has not yet been published, compared surgically removing the prostate gland with 'watchful waiting' and found there was little difference between the two. Experts are believed to be 'shaken' by the news because thousands of men could have gone through painful and unnecessary surgery. The Prostate Intervention Versus Observation Trust (PIVOT), led by Timothy Wilt, started in 1993 and analysed 731 patients over 12 years. It found that those who had an operation to treat the cancer had less than three per cent chance of survival compared with those who had no treatment. The results were presented at a meeting of the European Association of Urology in Paris in February and were met with a stunned silence. One urologist said that it definitely was not a finding the medics would be eagerly tweeting about. Cancer of the prostate is the most common male cancer and affects 37,000 men every year with up to 10,000 deaths. In half of all cases it is slow growing with suffers living for many years and often dying of another disease. It is believed some specialists are now questioning whether the disease should be considered a cancer at all. The surgery, known as radical prostatectomy, can often leave patients impotent or incontinent. A consultant urologist at Guys and St Thomas' NHS Trust said that older men with typical prostate cancer are not usually offered surgery at all. However, he added that besides watchful waiting there is the option of radiotherapy, which should be considered. Dr Kate Holmes, head of research at the The Prostate Cancer Charity, said: 'Early data from the Pivot trial certainly suggests that surgery to remove the prostate does not provide any significant survival benefit for men with low to medium risk of prostate cancer. 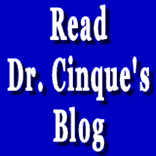 I, Dr. Cinque, say that if you are not in pain and you can pass your urine normally, don't even think about having surgery. And I would be wary of radiation treatment as well. Instead, change your diet to an unrefined, plant-based one, take high-dose Vitamin D3 and other anti-cancer supplements, exercise, and leave your prostate alone. You don't want to mess with it.